This 750-watt amp brings music to the living room with crystal clear clarity. 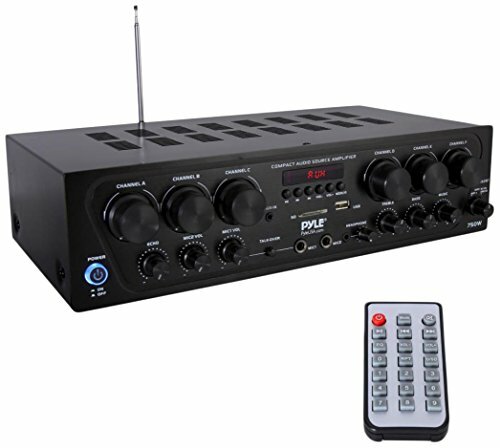 With plenty of inputs, you won't find this amplifier lacking. It features a built-in FM radio with digital LCD display. It's equipped with RCA inputs on the back and two ¼” mic jacks on the front, so you can turn this amp into a karaoke machine - even add an echo effect. Easily adjust the volume, balance, treble, bass on the master output for total control of your sound. Remote is already included. Runs on 110 and 220 V AC.